Ynys Môn Assembly Member Rhun ap Iorwerth this week visited Coppertown Brewery in Amlwch, where the first barrels are almost ready to be sold. Rhun met with Head Brewer Sion Roberts and saw how their ales are made. The ales should be available for pubs to purchase from October 5th, and those with an interest are encouraged to phone Coppertown Brewery on 01407 832564. They also own the Market Tavern pub, where the new ales will be on sale alongside other brands. The ales’ branding emphasises its links with Amlwch and the heritage of the town. 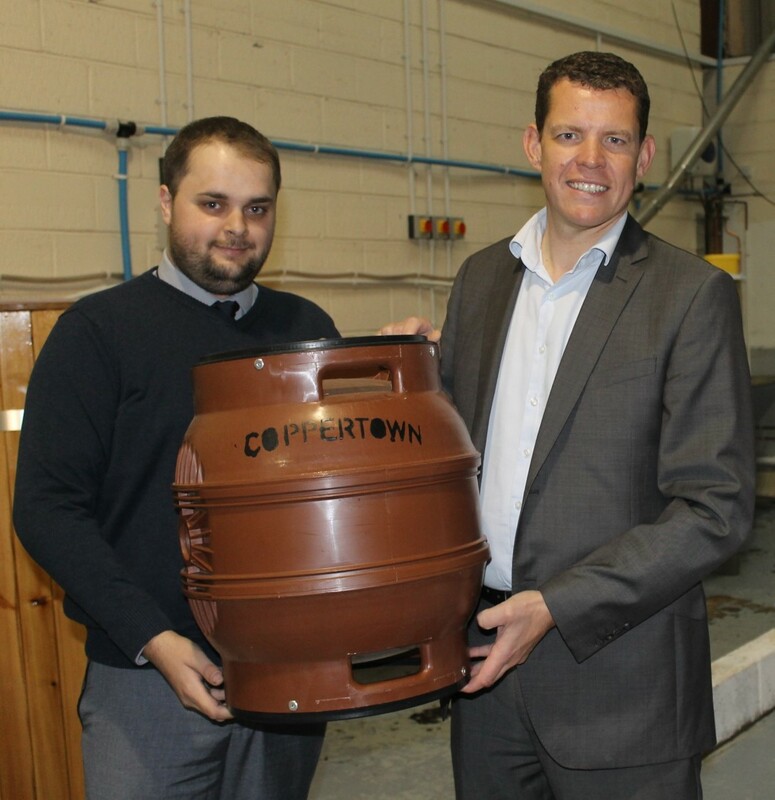 “Interest levels from pubs on the island have been far higher than we ever anticipated and as such we ask that if our telesales team is busy please call back, leave a message or email your enquiry to sales@coppertownbrewery.co.uk“.